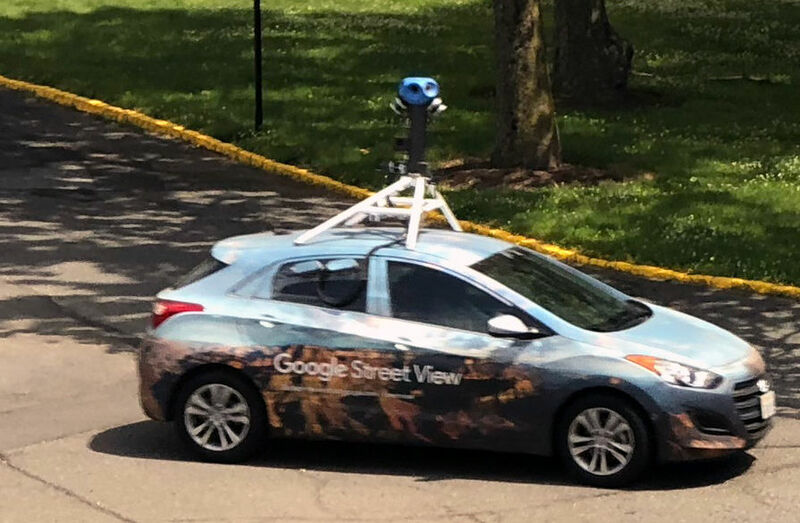 On Friday at about 1:15pm EST a Google Street Car was in our parking lot. It drove in and out all within 30 seconds. Thanks to someone looking out the window during one of our weekly meetings, I was able to quickly get up and snap a bunch of pictures of it as it exited our parking lot. By the way, our office is already set up for inside street view images - so this might help a bit complete the picture.